Most software programs come with default settings and it is up to the user to adjust those settings to their liking, however, often the individual has no idea they have that kind of control over the performance of their software. Ancestral Quest manages these adjustments through its Preferences Screen. To get there, one goes to "Tools" and then scrolls down and clicks on "Preferences" which brings up the following Preferences Box. Notice that there are a number of Tabs to help you adjust everything from the date format to the size of the fonts and many other items in between. 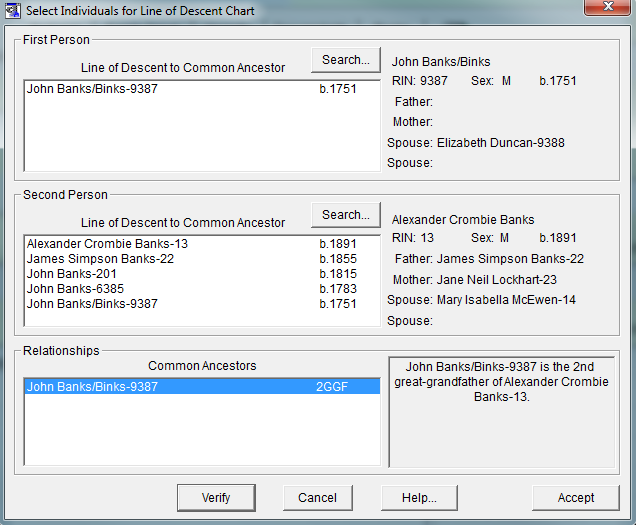 On this General tab you can attach RINs to a person or the FamilySearch ID instead. You also can choose different colors and this is where you can check or not check for any of the LDS options. 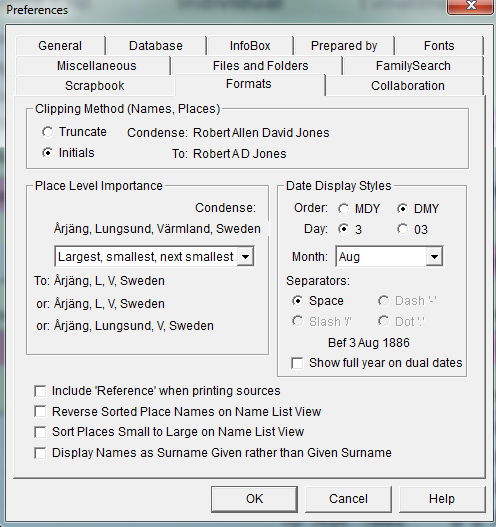 The database tab allows you to set who is in that first position when you open up your program. 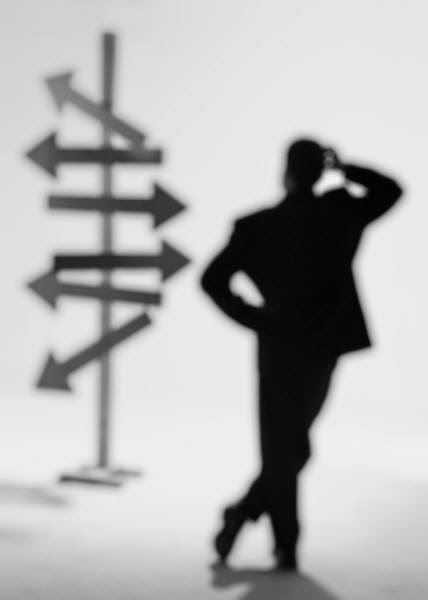 You can choose between the same first person or the last person you were working on when you closed down. When you click on the "Record Changes" under Log Changes, it keeps a list of what you do when you are working on your file. This can be most helpful if you need to re-track your steps. It also allows you to set how you want to label your backup files, and other search options. This is the format tab that allows you to state how you want dates, places and names show in the database. 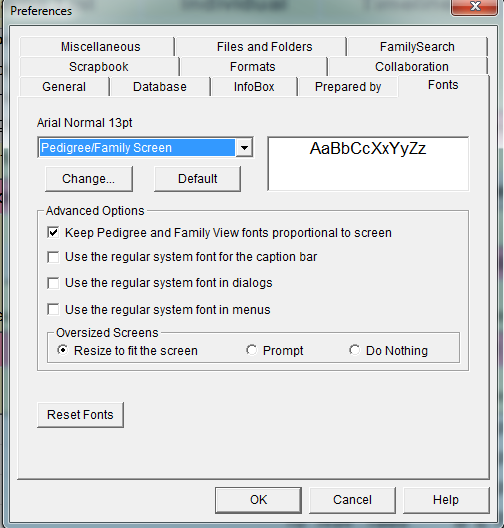 The font tab allows you to change the size of the fonts throughout the various screens that are part of Ancestral Quest using the drop down arrow. There are a few other tabs one should take time to review to make sure everything is set to your liking and creating a better environment to work in! Just how are we related to each other? Often when doing research, one learns of new relationships, cousins, in-laws, etc. 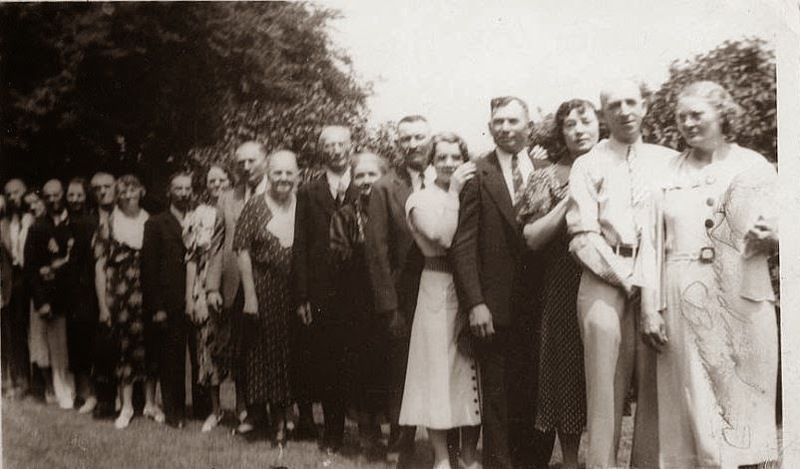 This usually is an opportunity to have a colleague in researching family lines and perhaps exchanging not only family information but also pictures and their family stories. At some point, curiosity comes into the relationship as to just how two people are actually related. 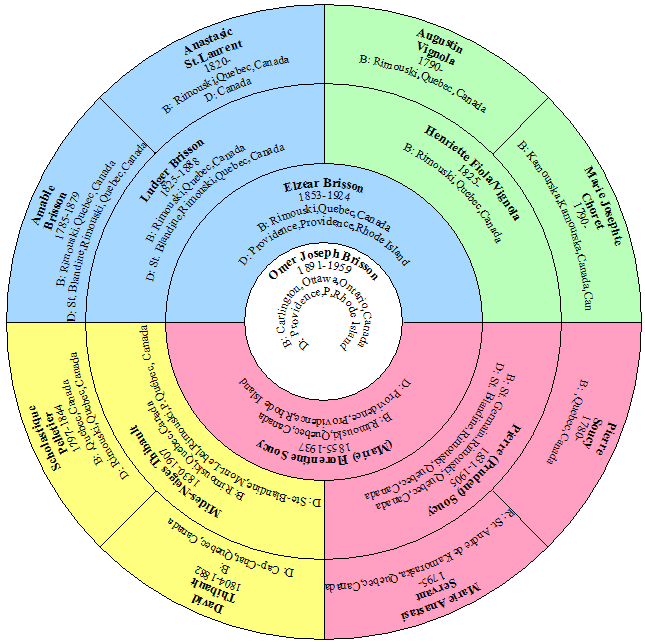 Ancestral Quest handles these situations very easily through the "Line of Descent Drop-Line chart that can be created once two individuals have been identified as being related. 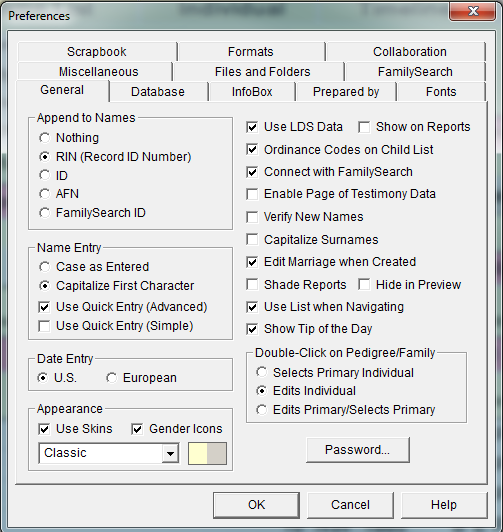 Click on Select and locate the Second Person which opens up the Find Individual/Marriage screen which allows you to either enter their RIN number or if you don't know their number, one clicks on Search for Individual and locate that person and click OK.
Be sure to take advantage of the Line of Descent whenever and wherever needed, knowing that this chart can easily show two individuals exactly how they are related to each other! When it comes to reports, Ancestral Quest can provide you with a multiplicity of different ones as well as providing custom reports. 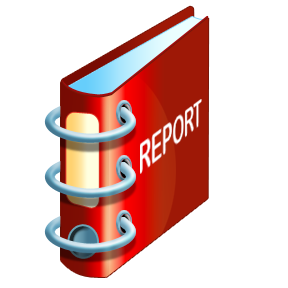 All the various reports are accessible from the "Reports and Charts" menu which opens up when you click on the "Printer Icon" or go to File, scroll down and click on "Print Reports and Charts". 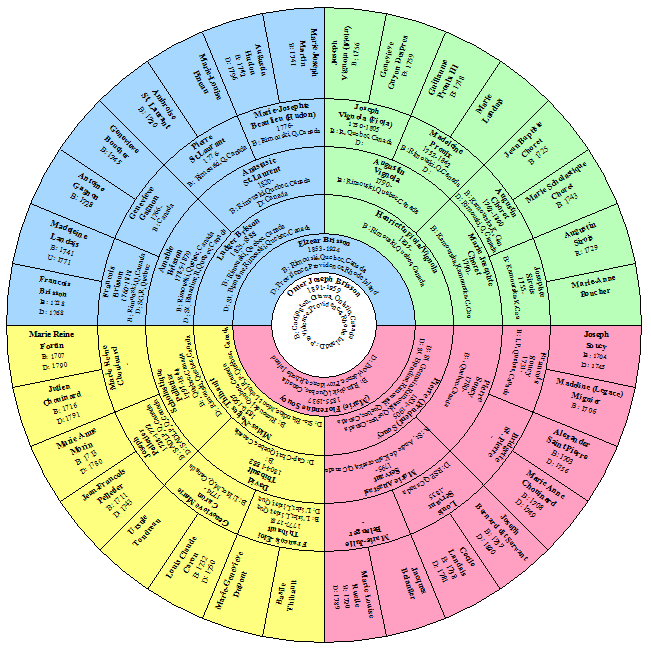 The Pedigree Chart is easy to read and most informative. One can print a decorative one for a wall or a practical one to see where there is missing information. 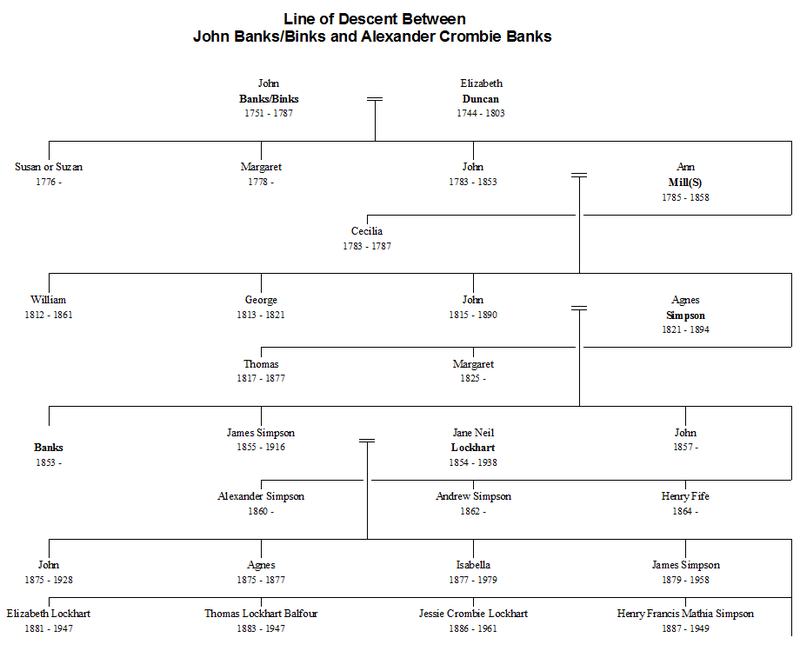 Charts can also be 'cascaded', so that you can print your entire ancestry on a series of charts. Using these type of charts is very helpful especially when trying to figure out where the holes are in one's research. These charts do not have to be in color and one can print a half chart or even a quarter chart, it just depends on what is needed. An extensive break down of these charts is explained in greater detail on Ancestral Quest's website here: http://ancquest.com/aqreprts.htm.